Losing a loved one to the misconduct or negligence of someone else can be very depressing. The grief is second to none. As you grieve, you are being faced with huge bills (medical and funeral bills). As a relation to the deceased, you have the right to file for wrongful death and gain compensation. Inability to secure the deserved compensation can spell financial predicaments for the future of the surviving family. To secure the deserved compensation, you need to hire a topnotch wrongful death attorney. 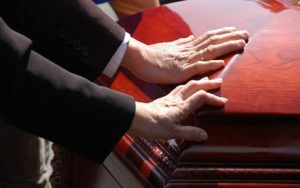 Are you a local in El Cajon, CA and need to hire a top wrongful death attorney? Rawa Law Group is the answer to your questions. Come to us today and we will help you maximize your compensation as we have done with El Cajon claimants over the years. We have amassed a combined legal experience of more than 55 years in this business and we can proudly say we have some of the brightest and most accomplished wrongful death attorneys in California. Rawa Law Group is a superior legal firm that works relentlessly with you and provides personalized representation and individual attention to assist you in your claims. We can make home visits if the case warrants such. Our attorneys will evaluate and investigate your case for free. You only bother about payment for our legal service after we have won your case. You can also receive ethical legal counsel without any hidden charges. When we work with you, we keep you updated about every moves or progress we make. Time isn’t a factor as we also offer flexible appointment hours to our clients. To enjoy our services and to hire a topnotch wrongful death attorney in El Cajon, CA, contact us at our office.